introducing abler at gizmodo | Abler. I’m happy to report that Abler will now be syndicated as a channel at Gizmodo: abler.gizmodo.com. Below is the first post I wrote to introduce myself to the readership there. If you’re following along here, you’ll still see all the content. It’ll appear here and there. I’m thrilled to be working under Geoff Manaugh, of BLDGBLOG, and most recently at Columbia University’s Studio X. Geoff is expanding the scope of Gizmodo to include more design, architecture, and urbanism, so I’m glad to join up there at this stage. As ever, please do send on links to technologies and projects that you think would be suitable for the site. Exoskeletons, 3D printed legs, robotic arms: There’s plenty of press for these prosthetic technologies, and for good reason. They’re innovative in a splashy way, and they’re undeniable feats of engineering. But prosthetics include so much more: high-tech, low-tech, and high-low hybrid assistive and adaptive devices, accessible architecture, “universal” design, alternative infrastructural systems, and wearable augmentations—both analog and digital. Technologies and tools that may be called “prosthetic” span a generative, flourishing research space now—and it’s the province of artists and designers as much as engineers and programmers. What tools would be called “assistive,” after all, can include far more than machines for mobile functionality or augmentation. There are Braille-friendly banjo tabs and garden spaces designed with the autism spectrum in mind. There’s also an app that can tell you if you’re talking too much, a beer glass for aging with dignity, and a smile device for when you need to fake it. Just as eyeglasses have shed their medical identity and become wholly identified with fashion, other prosthetics are getting new design attention. Abler will cover these prosthetics getting more beautiful engineering and more beautiful design. But you’ll also see the work of designers and engineers here that wouldn’t necessarily, at first glance, be identified as “assistive technology.” Making connections among such a wide range of devices and tools is the point here—to see unusual resonances, to welcome uncertainty about who’s using which prosthetics for what. Abler proceeds from a broad claim that all technology is assistive technology. Critical design. Plenty of prosthetic devices solve problems. But others investigate what counts as a “problem” in the first place. Whose bodies need “fixing,” and why? What happens when designers reconsider the definition of “normal”? Whether you call it “design for debate” or “interrogative design,” these are tools and technologies that raise and suspend the friction of questions, rather than rushing to the seamlessness of solutions. Assistive technologies as culture. Abler is influenced by historian David Edgerton’s call to pay attention not just to technological innovations because they’re new, but to also pay attention to technologies in use to assess their importance. The day-to-day adoption and appropriation of technologies is where their real power lies. 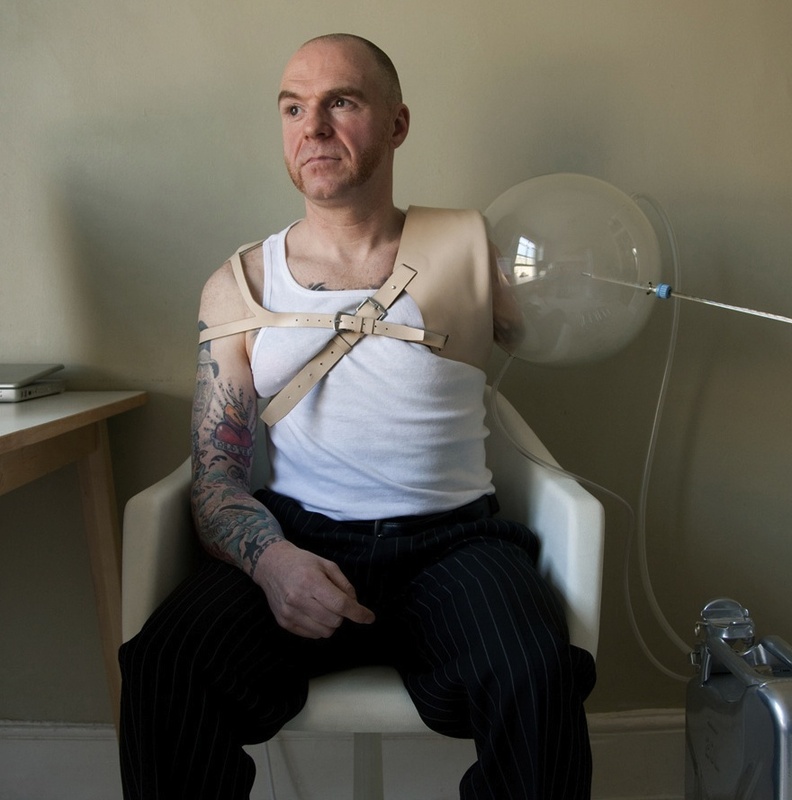 Assistive devices reveal all kinds of fascinating collisions with politics, material science, economic structures, and fashion, but also with accidental histories and contingent relationships. No soft piano music, no “overcomer” stories. Too often, tech writers are so much in love with the conflict-and-resolution stories of prosthetics that the users of those devices become a simplified backdrop for a scripted, questionably emotional catharsis. No prosthetics users here will necessarily be “suffering from” their conditions. Abler is about assistive technologies without sentimentality. Abler is written and edited by Sara Hendren, with research assistance by Anna Raymond. Note: the Kinja platform doesn’t allow us to provide alt-text for blind readers; we’ll be describing images in posts and suggesting they change their policy. Images: 1. Cohen van Balen’s “Phantom Recorder” imagines replicating the experience of a phantom limb with a neural interface. 2. 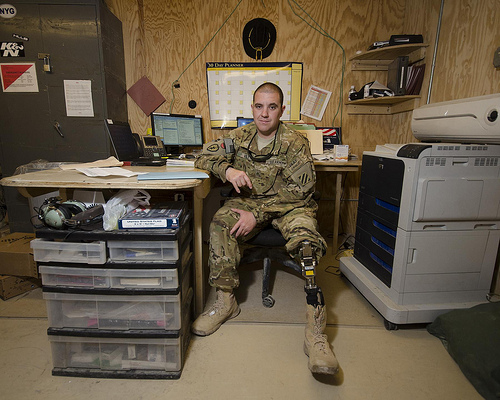 A soldier, an amputee, wears his replacement lower leg beneath full camouflage uniform. [Army Medicine.] 3. 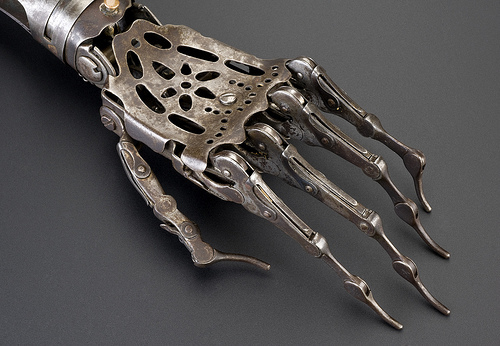 A Victorian-era prosthetic hand, made of delicate curving silver metal parts, fine hinges at the knuckles. [John Lester.] 4. Klara Jirkova’s Braille tattoo, a two-row pattern of tactile sentences across the upper back of a woman’s body.